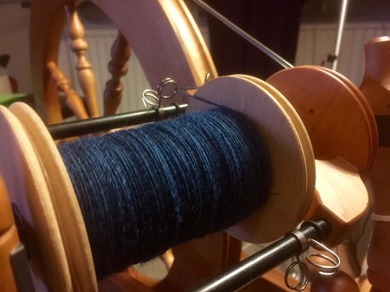 Spinning - the art of turning fibre into thread using a spindle or a spinning wheel, is an ancient craft. 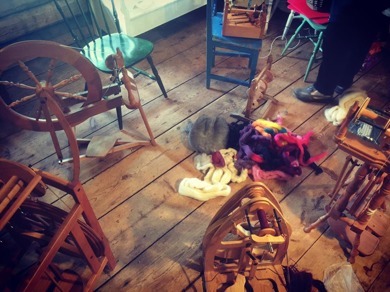 In the beginning people used to spin without any tools at all, and ever since then the technique and the equipment has evolved. 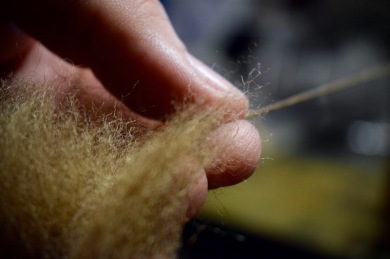 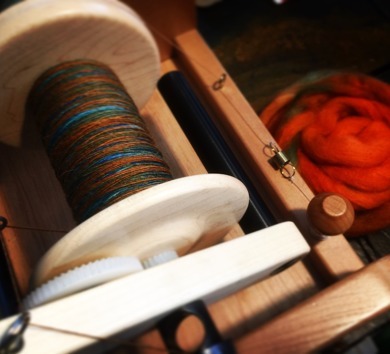 But even though we have modern equipment these days, effective drum carders and electric spinning wheels, the actual craft remains the same - using twist to get fibres to attach to each other and form a thread. 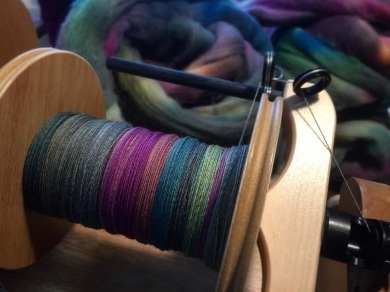 To spin your own yarn is to have control. 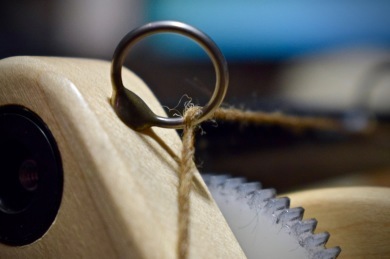 It is here that we form the basic properties of our cloth, and it's very difficult to get a thread to do something that it wasn't designed to do in the first place. 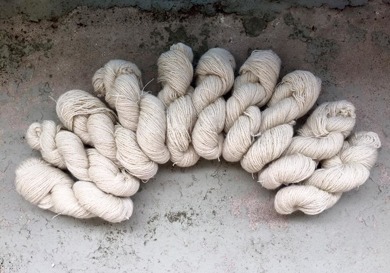 A thread can be smooth, compact and strong or airy and elastic. 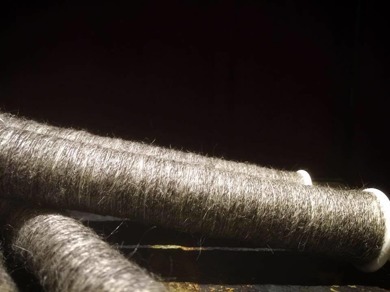 All depending on how you process the fibre and how you spin it. 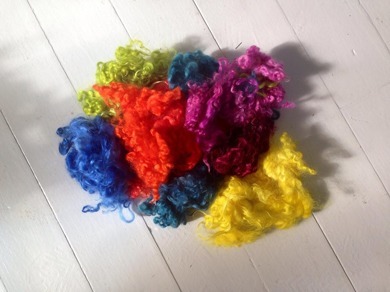 Most of the time I work in wool, but I'm happy to spin other fibres too like silk, cotton, flax - and I've even had a go at spinning plastic bags from the local supermarket! 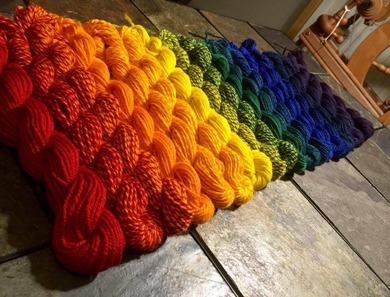 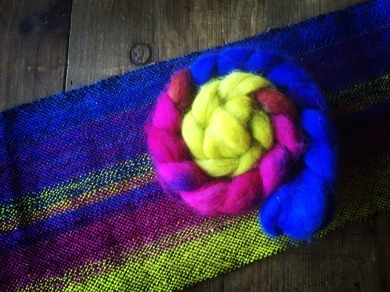 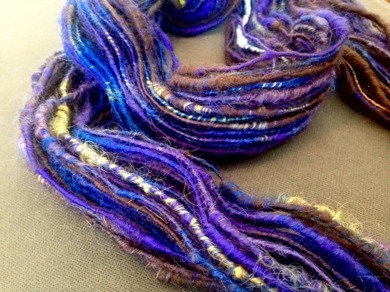 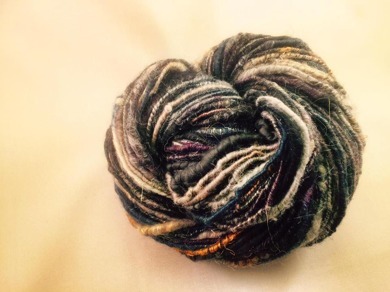 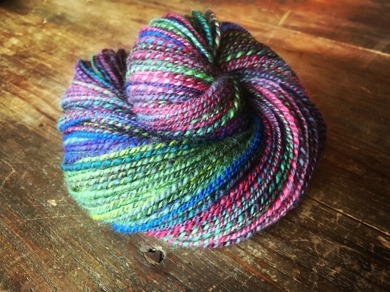 I love to dye and will dye the fibre itself as well as the finished yarn, using either modern acid dyes or old traditional natural dyeing techniques.